There were very few non-black photographers in the early twentieth century who were depicting African Americans in a positive light. Consuelo Kanaga was an American-born photographer of Swiss heritage who, like her better known contemporary Dorothea Lange, worked as a photojournalist from 1915 through to the 60s. Living in San Francisco, Kanaga decided to become a photographer after she discovered Alfred Stieglitz’s Camera Work publication and was introduced to other Bay Area photographers like Edward Weston by Lange. connection with her black subjects. Kanaga had no prescribed agenda in depicting African Americans. In a statement about her work she mentions simply “trying to show the beauty of black people.” In her compositions Kanaga didn’t care for showing context, choosing instead (in most cases) to viscerally engage the viewer with the subject’s face by taking close-ups. As taught by Stieglitz, she didn’t just rely on in-camera composition but often (re)worked her prints tirelessly by cropping and manipulating tonal values to achieve her aesthetic vision. Throughout her career, Kanaga held a wide range of visual interests from portraits to cityscapes to still lifes and yet it is her artistic vision of black Americans that was her most engaging work. A woman who “enjoyed playing at the margins,” Kanaga seemingly had no fear or doubts about her vision. She didn’t simply show likeness in her portraits, she conveyed deep human emotions from an American population who at the time were often relegated to sub-human depictions. The images above, all donated by the photographer’s husband Wallace Putnam, celebrate the photographer’s dedication to use the art of portraiture to “change morals”; a power that Susan Sontag attributes to the photographic medium in her book On Photography. Among the collection is an intense 1936 portrait of Annie Mae Merriweather, whose husband Jim Press Merriweather, a sharecropper in Lowndes, Alabama, was lynched for being part of the Sharecropper’s Union strike for higher wages. Also in the collection is Kanaga’s iconic image She Is a Tree of Life to Them, which was titled by and featured in Edward Steichen’s 1955 The Family of Man exhibition at the Museum of Modern Art. The photographer herself said the creation of image was influenced by African-American sculptor Sargent Johnson—specifically his piece titled Forever Free (1933). Both her camaraderie with and influence by the African-American community shows Kanaga’s understanding of a culture that was in many ways completely opposite of her own. A “bohemian” woman known for her compassionate lens, Kanaga went on to photograph famous black artists and intellectuals like Langston Hughes and Countee Cullen. Further enforcing her personal affiliation, Kanaga was an active participant in the civil rights movements of the 1960s. Her work served as a glorious alternative to the negative stereotyping of the time and is now a unique page in American photography history. 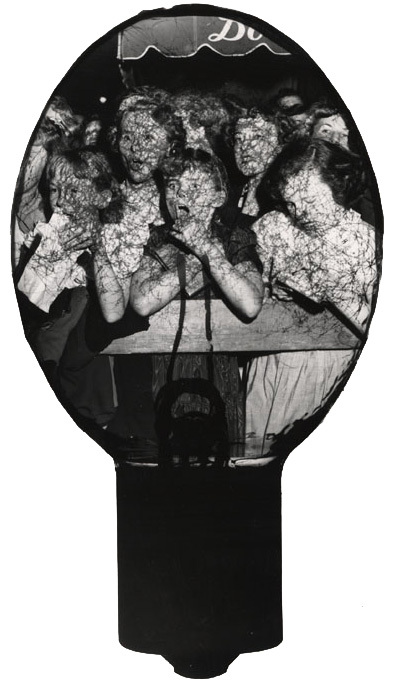 This entry was posted in Fans in a Flashbulb and tagged African American, Consuelo Kanaga, ICP-Bard, portraiture. Bookmark the permalink.